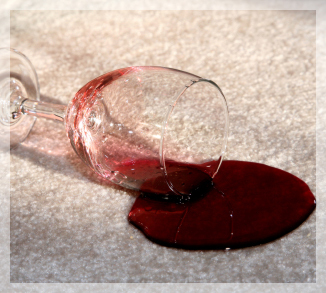 Over the course of everyday life your carpet’s stain protection weakens due to foot traffic and routine cleaning. By applying GREEN SHIELD Carpet Protector after every cleaning you are assured that your carpets will retain their maximum stain, soil and spill resistance. 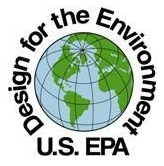 Dirt Busters Carpet Cleaning’s GREEN SHIELD Carpet Protector is a US EPA DESIGN for the ENVIRONMENT APPROVED product. With GREEN SHIELD Carpet Protector’s cutting edge encapsulation technology your carpets will stay clean longer and retain their “LIKE NEW LOOK” for many years to come. We will gladly take the time to explain you the many benefits our Green Shield Carpet Protector brings to your carpet. When you decide to call us you will be greeted politely, professionally and respectfully. In order for us to better assist you we will need to know some basic information about your particular carpet needs. After we listen to you and analyze your needs will be take out time to explain you how we can help you and answer all your questions. Then based on our conversation we will provide you with a written cost Estimate. We will make every attempt to make as accurate an Estimate as possible. Once you accept our estimate we will schedule an appointment on a day and time that is convenient for you. We will explain you the task we’ll need you to perform before we arrive, if any is needed. From the moment our uniformed cleaning tech arrives, our goal is to do everything possible to make your service experience as pleasant and as hassle free as possible! After a brief introduction we will want to inspect the carpet to be cleaned and protected. This would be a great time for you to point out any areas of special concern. After the inspection the technician will be able to tell you what kind of results you can expect. At this time your cleaning tech will go over a brief explanation of the benefits of applying our Green Shield Carpet Protector. After we carefully explain you what to expect we will proceed to perform our job professionally according to what we agreed. Your family and assets protection is very important to us. Our technicians will perform the job respectfully caring for your belongings. Our uniformed technicians are professional, respectful, and experts in the field. All our services are 100% guaranteed. We honor our warranty. We are fully licensed and insured and certified by ICRC (Institute of Inspection, Cleaning and Restoration) and HOST. We promise you will be impressed with our work and service.